While most people know about the Aquarian age, and some people know that the Age of Aquarius follows the Age of Pisces, very few people realize that within the Age of Aquarius are twelve sub-ages. These sub-ages last approximately 179 years each. Within the sub-ages are twelve micro-ages per sub-age of approximately fifteen years each. These fifteen years micro-ages provide the generational markers that identify one generation from the next. I discovered some interesting correlations when the generation markers for all the US presidents to date are examined – either the voting public has preferences to specific generations for their presidents or specific generations are over-represented amongst politicians that run and win the presidency (or vice presidency and become presidents). For example more presidents are born in a Libra generation than any other sign. 18% or almost one in five presidents (statistically weighted) were born in a Libra generation whereas from a random statistical analysis only 8.3% of presidents should be born in a Libra. The Libran presidents include President Abraham Lincoln born in 1809 who is considered to be one of the top three presidents based on the presidential ratings supplied by James Lindgren (and sponsored by the Federalist Society of the Wall Street Journal). Apart from Lincoln (rank 2), only one other Libran generation president was highly rated (Polk ranked 10) with one below average and half the Libran presidents rated as failures. So while the Libran generation is the most represented, this provides no indication of any excellence in office. In absolute terms (without statistical weighting applied), the greatest number of presidents to date has been born in Aquarian generations. The Aquarian generation presidents were: G H W Bush (b.1924), R Reagan (b.1911), J Carter (b.1924), G Ford (b.1913), R Nixon (b.1913), Kennedy (b.1917), Monroe (b.1758) and Madison (b.1751). Combining the results from Libran and Aquarian generations, it should come as no surprise that the highest percentage of presidents come from an Air generation (Gemini, Libra and Aquarius) accounting for 41% of presidents against an expected 25%. This is a significant deviation from average. Again, despite a preference for presidents born in an Air generation, this provides no guide to their competence, as the Air generation presidents have an equal number of above average and below average performing presidents. Examining all presidents that have been rated above average or better (i.e. Above Average, Near Great and Great) reveals a distinct preference towards presidents born in Air generations (eight presidents) followed closely by Water generations (six presidents) while only three presidents were born in Fire generations and one in Earth. This is the first analysis that provides a link between competency and specific generations. The only Earth generation president to make it in the competent group is General Jackson (b.1767). The only Fire generation presidents to make it in the competent group are: Eisenhower (b.1890), Truman (b.1884) and FDR (b.1882). This initially suggests that Air and Water generations provide the most competent presidents, while Fire generations are slightly below average and Earth generations well below average. The generational markers are based on the 15 years micro-ages, but each micro-age can be divided into three decans (of almost five years each). These decans provide a sub-generational marker. Take the Sagittarius micro-age (1940 – 1955) principally associated appropriately with the Baby Boomers. The three sub-generational markers (micro-age decans) are Leo (1940 – 45), Aries (1945 -50) and Sagittarius (1950 – 55). If we examine the student riots around the world focused around 1969, those of the Sagittarian generation with Aries as the sub-generational marker would have been between 19 and 24 years of age – anecdotally the age of university activists and young rioters at the time. This also suggests that this Aries sub-generation of the Sagittarian generation were the most violent sub-generation as Aries is the sign most associated with violence. Based on sub-generational markers, more presidents are born in an Air sub-generation (36%) against an expected random result of 25%. Fire sub-generations are also above average (30%) while Water (18%) and Earth (16%) are well below average. This basically reflects the results for whole generations. Water generation presidents to date have by far the best rating for competence. How do Barak Obama and Mitt Romney compare based on their generational and sub-generational markers – assuming Romney will get the Republican nomination? Barak Obama is a Water generation president suggesting that he is likely to be considered an above average president in the years to come. 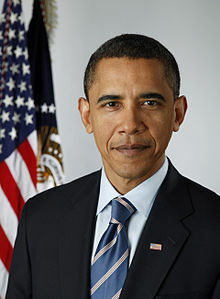 Barack Obama was born into a Scorpio generation and until his election as president in 2008, Scorpio was one of two signs that had never had a president (the other sign is Virgo) but this is due to a statistical anomaly as the Scorpio micro-age (1955-1970) has been the first Scorpio micro-age possible for the birth of a president since the formation of the USA. The 2012 election will occur in the Cancer micro-age (2000-15) but with a significant influence from Scorpio (based on the Scorpio micro-age decan overflow (2010-15). Though I have not analyzed the relationships between the micro-ages of serving presidents and their micro-age at birth, Obama being a Scorpio generation and having an election in a Water micro-age suggests an affinity. His Scorpio sub-generation resonates with the strong Scorpio influence at this point in the Cancer micro-age – and especially to the Scorpio micro-age decan overflow (2010 – 15). 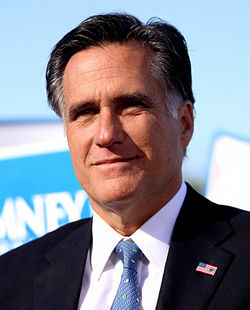 Mitt Romney (born 1947) is from the Sagittarian generation with an Aries sub-generation. He is from the ‘aggressive’ sub-generation of Baby Boomers. If there is a relationship between birth generation and presidency, the Sagittarian birth to Cancer micro-age is not a fortuitous astrological combination (8th house relationship). Cancer’s relationship to Aries is also a negative (activating the anti-status 4th house). Despite the theoretical astrological advantage Obama seems to have over Romney, there have been three former presidents born in similar circumstances to Romney (i.e. born in a Sagittarian micro-age) that have gone on and won their presidency in a Cancer micro-age. They were Martin Van Buren (b.1782) – a one term president, Zachary Taylor (b.1784) who died in office after 16 months and George W Bush. A one term president suggests some negative issue, John Tyler (b.1790) was also born in a Sagittarian micro-age and became president in a Cancer micro-age, but inherited the position due to the death of his predecessor. George W Bush’s served as president in the first half of the Cancer micro-age when the influence from the previous Fire Leo micro-age was particularly strong. Therefore on closer analysis, only one president (G W Bush) born in a Sagittarian micro-age was elected in a Cancer micro-age and served two terms. This does support the contention that Sagittarian generation presidents do not do well (on average) in a Cancer micro-age. The 2012 election reverses the emphasis between Leo and Cancer significantly, compared to the election of George W Bush (with the same astrological signature as romney), to Cancer’s favor and thus favoring Obama. If the past is any guide to the future, any more presidents from Obama’s Scorpio generation (1955 – 1970) should provide above caliber presidents but the next over-performing generation in terms of numbers (not competency) to provide presidents will be from the Gemini micro-age (2015-29). There are an unequal number of 15 years micro-ages since the earliest born president (George Washing in 1732) and the latest (Barak Obama born in 1961). If we took the statistics at face value, more presidents have been born in an Aquarian generation (12%) than any other sign. But between Washington and Obama, there have been one generation per zodiacal sign from Aries to Scorpio, and two of each from Sagittarius to Pisces. This has been corrected and the signs Aries to Scorpio have been given double the weighting of the signs Sagittarius to Pisces. This post is not related to the Aquarian age, or any other astrological age. The focus is upon the planet Neptune as it moves from Aquarius into Pisces in early February 2012. Though my specialty is the astrological ages, I have been a student of modern western astrology for almost 40 years and Vedic astrology for around 25 years. While I was researching the shift of Neptune into Pisces, I became aware of how far reaching this impact will be, not only for individuals but for the world as a whole. If most individuals will expereince a net beneficial influence from Neptune moving into its own sign, then theoretically the whole world should experience the acccumulated benefits from the 7 billion inhabitants. I have not yet explored the worldwide benefits, but the following link should provide you with insights into how Neptune shifting into Pisces should benefit you. In researching and writing this webpage, I experienced for the upteenth time that Neptune rules Pisces (in modern western astrology). There is some confusion being generated in the astrological community that the insights discovered in Hellenistic and medieval astrology somehow affect modern western astrology. Pisces can be ruled by Jupiter in Hellenistic and medieval astrology (and Vedic astrology) but ruled by Neptune in modern western astrology. Each type of astrology maintains its own form and integrity. Modern western astrology already has integrity without any input from Hellenistic or medieval astrology. The astrologers who developed modern western astrology over the last 200 years were not stupid. Each form of astrology is like a different language with different syntax, grammer etc – but each language manages as a medium for communication. Modern western astrology is a valid form of astrological communication and has its own richness and diversity without being corrupted from Hellenistic and medieval astrological influences. Today, we have the option of choosing one or more forms of astrology as astrological tools. Diversity is always an advantage.